If you’re coming to Tokyo, you’re going to shop. It’s part of the Tokyo experience. I recently stepped out to film a Tokyo Minute segment on vintage shopping in Harajuku, which was super fun even in the sweltering Tokyo summer heat. Here are a few places we checked out, as well as some tips on shopping for vintage. 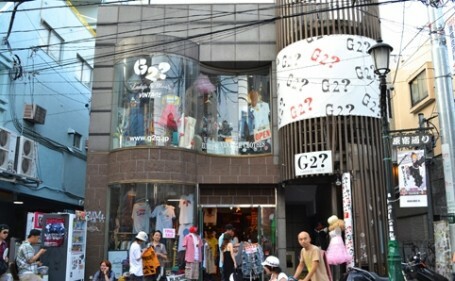 One of the most well known shops in the area, G2 has a fantastic mix of vintage from the 60’s to mid-80’s, with an especially awesome mix of accessories. Bags and luggage here really rocked, and the prices (in my opinion, seemed totally in line with what you get. Nadia’s doesn’t have the biggest selection on the planet, but if you like vintage t-shirts, this place is the bomb—great selection and they’re in shockingly good condition. 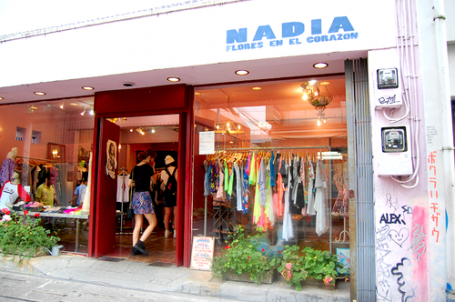 Nadia’s carries a mix of vintage and new accessories, creeper shoes, gothy bracelets, and some decent vintage denim. Oh, and FURBIES. That alone makes it worth doing a lap. 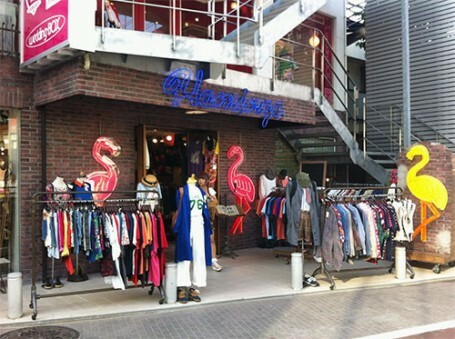 Last month my friend Becca took me to the Flamingo in Shimokita and I was hooked. The Harajuku location doesn’t disappoint. The mix is 1950’s- 1990’s, with a great selection of girly dresses that are wearable as a real human girl. The selection is huge, the prices are right, and the condition of everything is stellar. Whoever is doing the buying for these guys deserves an award or a reality TV show or something. Golley’s has a great mix of women’s and men’s fashion with process that aren’t bananas, but aren’t super bargains either. If you’re American you’ll wax nostalgic over the Def Leppard t-shirts, then raise an eyebrow at the price tag. For those in the vintage trading game, they buy too. A rustically cool space totally worth checking out. Japan makes it easy, because they know their customers won’t accept anything less than clean, well-maintained pieces. The usual advice on checking seams, pockets, and zippers is still smart, but I’ve yet to find a single damaged piece on my shop-abouts. Always check locks, zippers, buckles, and linings on bags and luggage to make sure you don’t throw down for a really expensive box you can’t carry. So you don’t end up with a closet full of crazy, look at what you already have and figure out what you’re looking for. If you roll in with a ball of cash and no plan, you might walk out with a Cookie Monster fur coat that you’ll never wear (unless that’s your thing—then rock on). I shop vintage in Japan the way I shop sales: it has to be something that will mix with my current style really well, and it has to fit almost perfectly. Alterations in Japan are expensive and take a long time, so unless you can do them yourself (HAHA) I pass on anything that doesn’t really work. Oh hey! 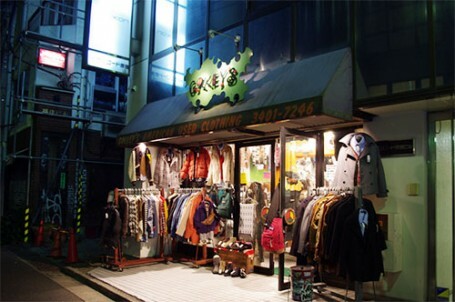 If you have shops you really dig in Harajuku, shoot me a link below. Happy shopping!